At Casa de Bandini we truly appreciate your feedback. The number of loyal followers and the growing number amaze us. 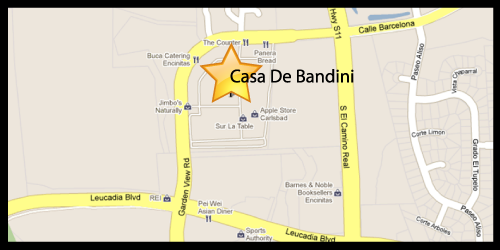 See some new reviews of Bandini at http://casadebandiniblog.com/reviews/. Thank you very much for your kind words. We will continue to provide you with the finest Mexican menu in North County as we continue to be recognized as a leading San Diego Mexican Restaurant. See you soon!